Use bow trainers -- Learning how to master your own bow is crucial to becoming a better archer, but using bow trainers like the AccuBow can help you improve on virtually every aspect of archery -- without even firing an arrow. You'll be able to practice drawing back a bowstring from inside of your own home with a quality archery release trainer. Get stronger -- You don't need to be able to bench 200 lbs to successfully draw back a bow, but you do need to have some upper body strength. Archery strength training is important and can be done through all kinds of exercises, stretches, and practice. Additionally, eating right, developing better sleep habits, and taking better care of your body, in general, will help you perform better in just about every aspect of your life -- including archery. Always focus on safety -- The most important aspect of archery is, and always will be, safety. You could be the most accurate archer in the world, but if you're not careful with a bow and arrow in your hand, you pose an immediate risk to everyone around. No matter your skill level, you need to be as careful as possible when practicing archery. This is a fun sport that can turn into something you're quite good at if you keep working at it. 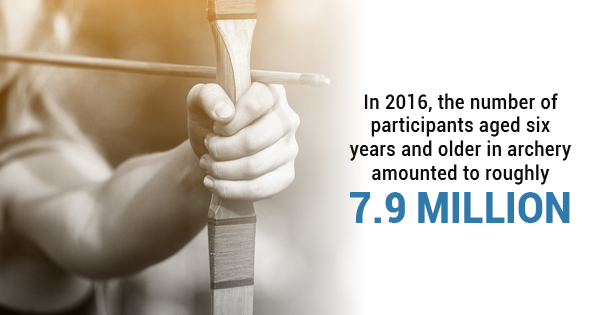 If you want to learn more about the importance of utilizing quality bow trainers or find other archery training devices, give AccuBow a call today!